With all three of my children taking up embroidery, I am starting to have quite the collection of embroidery hoops. 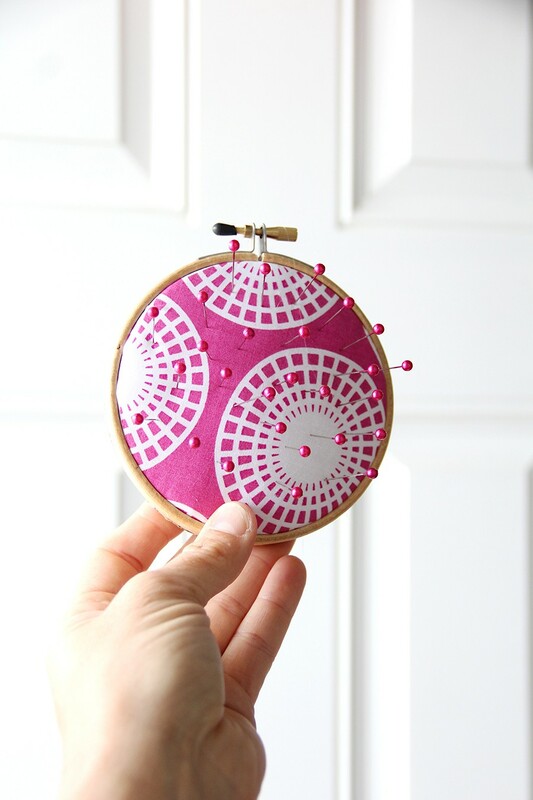 Did you know you can usually find embroidery hoops at your local thrift store for super cheap? I will find boxes of these hoops selling for as little as a quarter per hoop, which is a total steal! That being said, I was looking at my pin cushions recently and decided it was time for an upgrade. 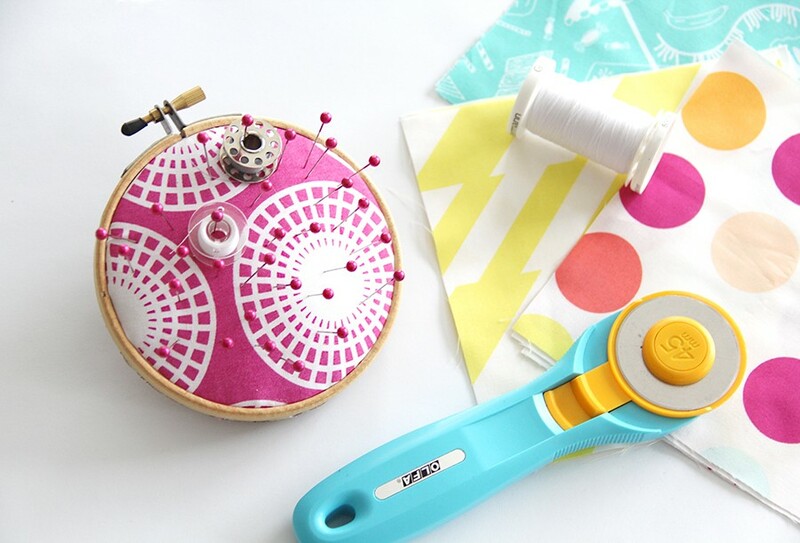 Pin cushions are great projects because they utilize scrap fabric, and are often quick and easy to make (depending on the difficulty level of the pin cushion you are tackling of course). 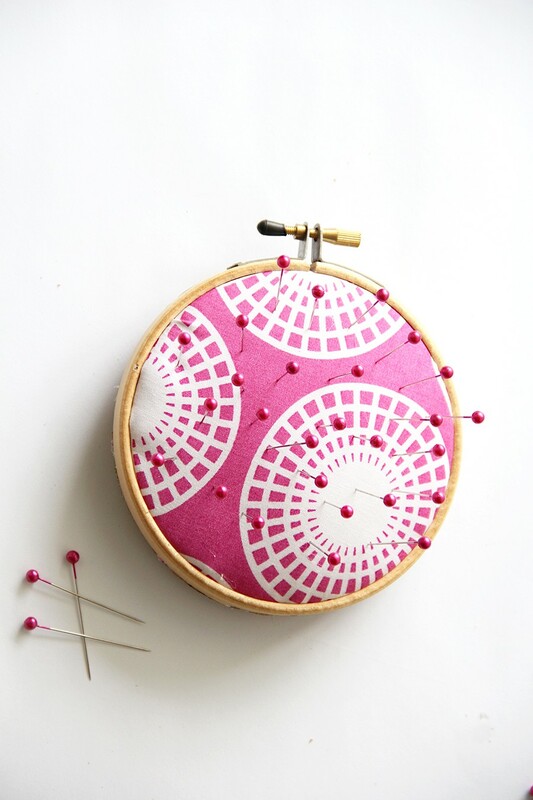 The embroidery hoop pin cushion is a quick and easy craft, that requires no sewing at all. With just a little bit of hot glue and stuffing, you can make this pin cushion in under 20 minutes. 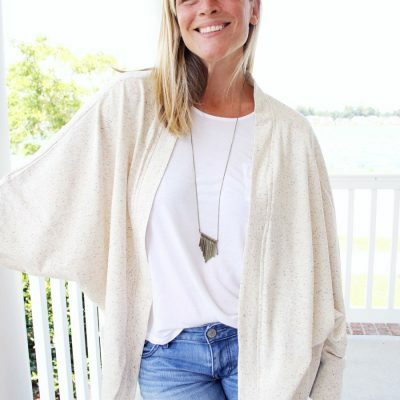 PS – makes a great handmade gift for the sewing lover in your life (aka MOM), from someone who doesn’t necessarily know how to sew themselves (aka the KIDS). Open up the embroidery hoop and place both sides on your cork or cardboard. Using a pen, draw around the OUTSIDE of the larger hoop. Then draw another circle around the INSIDE of the smaller hoop. 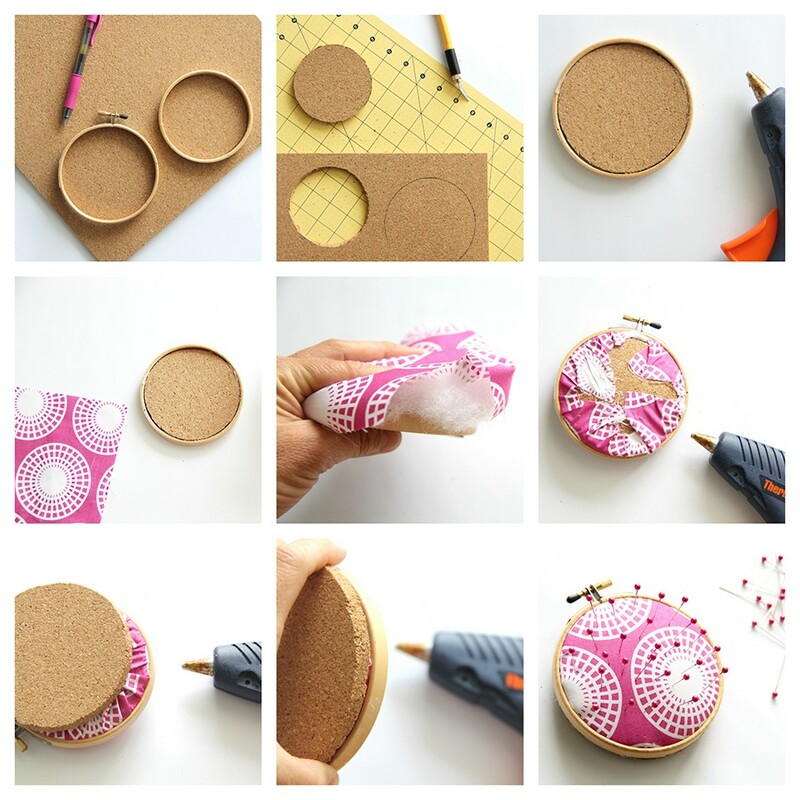 Using an Facto knife and cutting mat, carefully cut out the circles from the cork or cardboard. Place hot glue around the entire edge of the smaller circle, and slip circle inside of the smaller hoop. Hold in place and allow to dry. 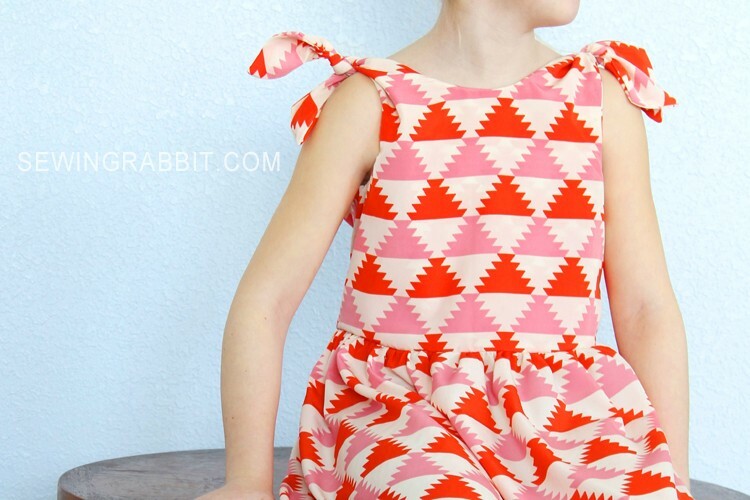 Cut scrap fabric to size, the fabric will need to be 1 – 2″ larger than your hoop all around. Place a handful of PolyFil on top of the cork hoop, and sandwich down with the fabric on top. 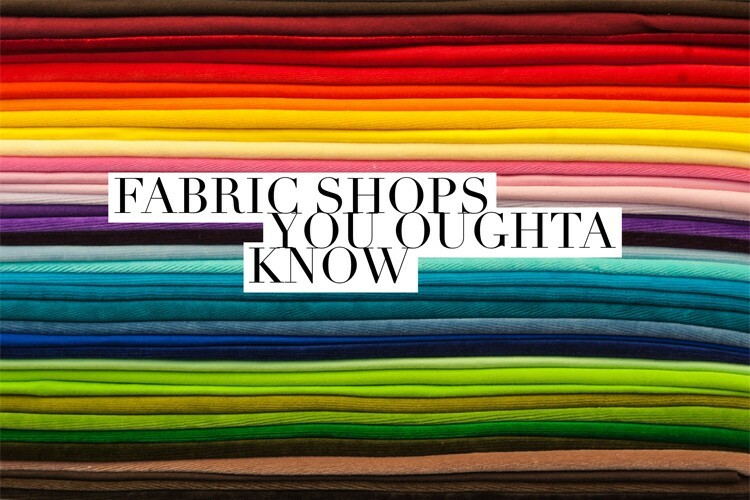 The fabric should be right side facing up. Slip the outer / larger hoop over the fabric, securing the stuffing in place. 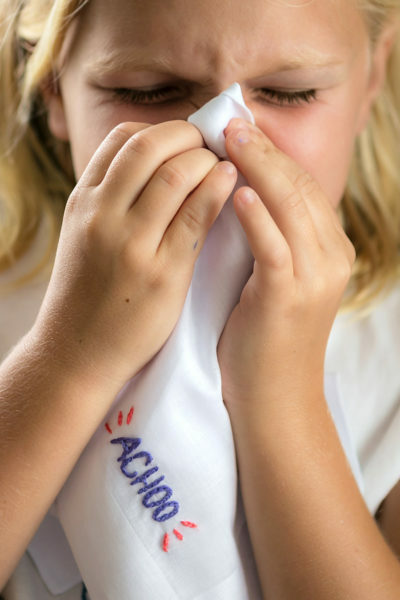 Use a finger to shove stuffing back into the hoop middle if needed. Screw the top of the hoop tight to secure. Hot glue the excess fabric to the back of the cork hoop. Use your finger to gently rub off excess cork around the sides, or to smooth the cardboard edging, of the larger cork circle. If desired, apply a thin layer of clear nail polish to outer edge and allow to dry. Hot glue the larger cork circle to the back of the pin cushion to finish. I usually keep a few bobbins of thread colors that I am alternating right next to my sewing machine. The problem is, if they are not secure they can get pushed aside and roll away when my machine vibrates or my fabric pushes them. 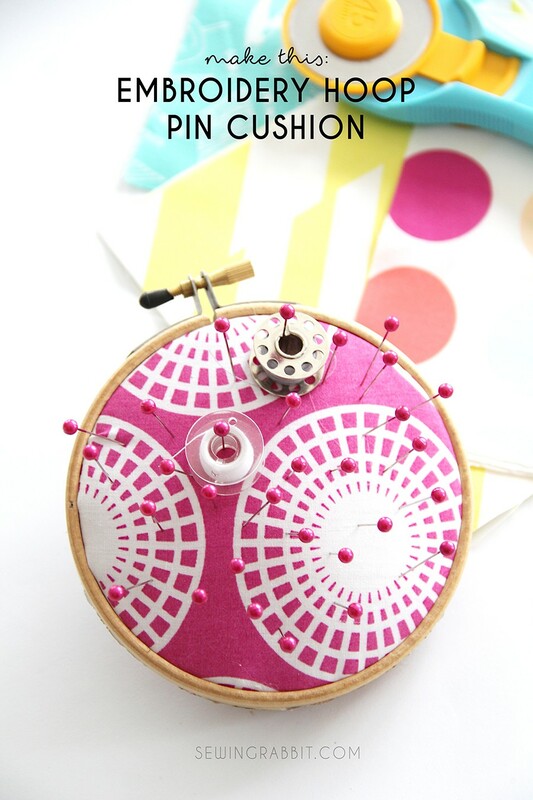 One way I keep them in place, and save my knees from crawling around on the floor searching for the lost bobbin, is to simply slip them over a sewing pin on my pin cushion. 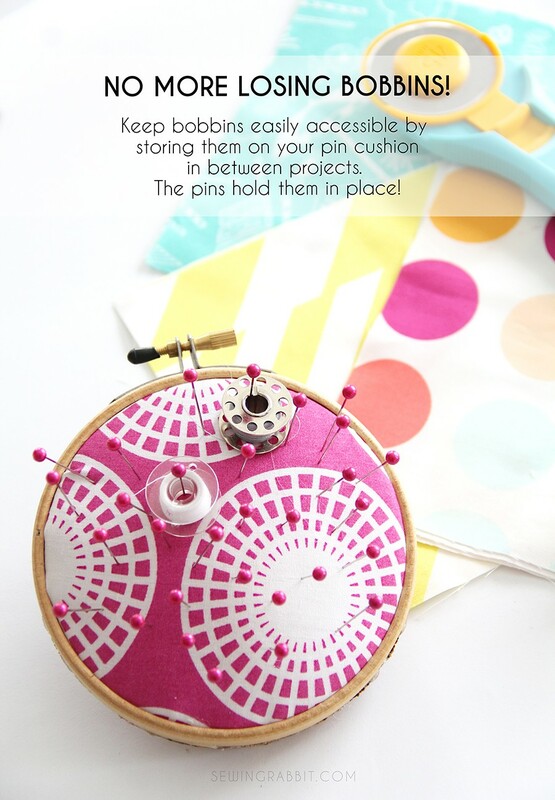 The pins are small enough to slip right through the bobbin holes, yet sturdy enough to hold them in place. Love this so cute. I will be making at least 6 of these. Thank you so much for sharing.